The battlefield has too long been silent. Arise, fallen legions, and follow the pale horseman on a quest for otherworldly reprisal! The Ghosts of War Jumbo Print T-Shirt honors all warriors who have fought and died for a cause. This graphic tee combines gothic and military designs. 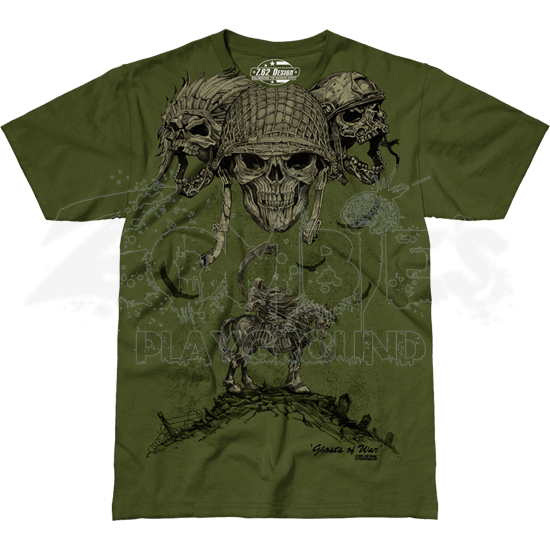 The front of the military shirt is adorned with a series of skulls wearing the helmets and headgear of warriors from various time periods along the neckline. Displayed underneath these heroes of wars and battles past rides the Grim Reaper upon a skeletal horse, who pauses atop the pile of broken weapons and bodies, surrounded by barbed wire and gravestones. 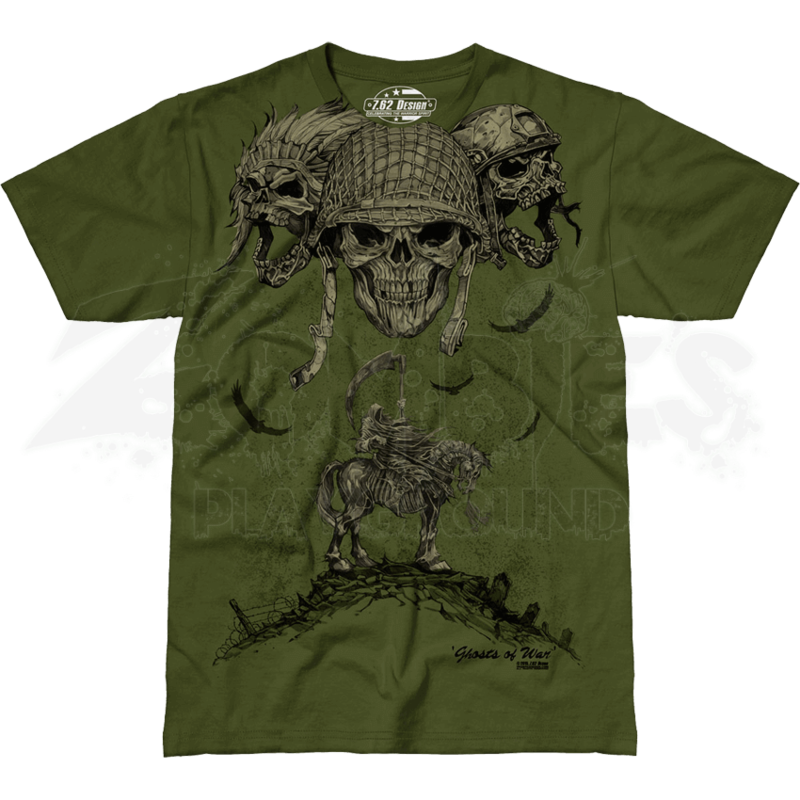 More skulls appear along the back of the soldier shirt, revealing several deceased warriors who can still give a battle cry in support of those who fight and serve today. This patriotic shirt makes the perfect choice to help modern warriors channel a bit of the death-defying fighting spirit that has been passed down through the ages.